October 24, 2012 — Responding to the grim news from The Centers for Disease Control and Prevention (CDC) that the fungal meningitis outbreak attributed to a Massachusetts compounding pharmacy amounted to 257 cases in 16 states with 20 deaths — and those numbers continue to climb with the possibility that 13,000 patients might have received products from the company — the Foundation for Chiropractic Progress (F4CP) issued a position paper: A Safer Approach to Long-term Relief from Back Pain: Understanding the role of chiropractic care as the first option in providing drug-free, non-invasive effective back pain management. The paper also points to overuse of cortisone injections, dangers of addiction to prescription drugs such as Methadone, and other opioids for musculoskeletal problems such as back pain and arthritis, as well as mounting evidence that for many patients, surgery is no better at relieving pain than non-invasive care options. Back pain is pervasive throughout the U.S., with direct costs of treatment more than $50 billion annually. A report by the National Center for Health Statistics found that more than a quarter of adults had low-back pain in the past three months, and it’s the second most common neurological ailment in the U.S., trailing only headaches, according to the National Institute of Neurological Disorders and Stroke. Many patients that suffer from extended episodes of lower back pain require treatment for depression related to it. Primary care doctors continue to prescribe anti-depressants to their chronic low back pain patients, with some studies showing at a rate of about 25 percent. 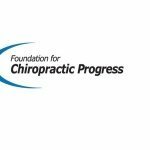 Chiropractic is a safer option: evidence-based, drug-free, non-invasive approach that generates short- and long-term relief and can save our healthcare system billions of dollars.